I truly believe you should surround yourself with the things you love. 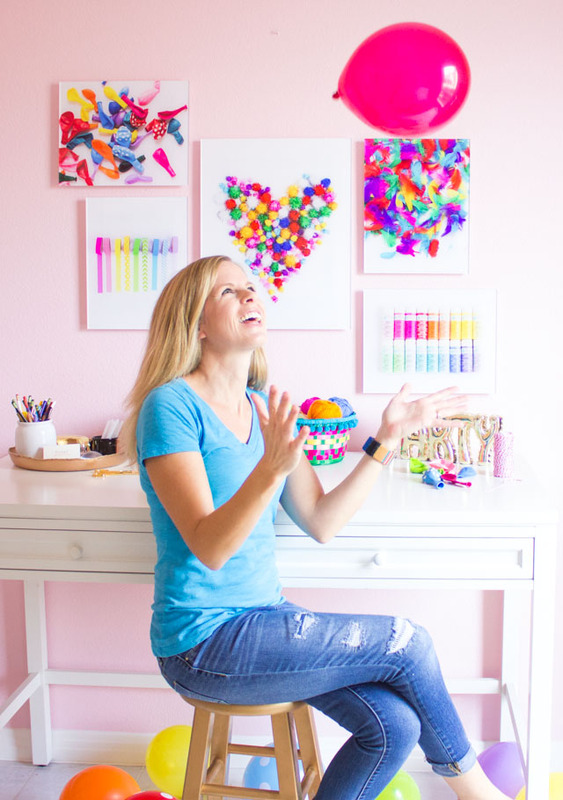 I took that advice to heart by partnering with Mixbook to give my craft room a colorful spring refresh! 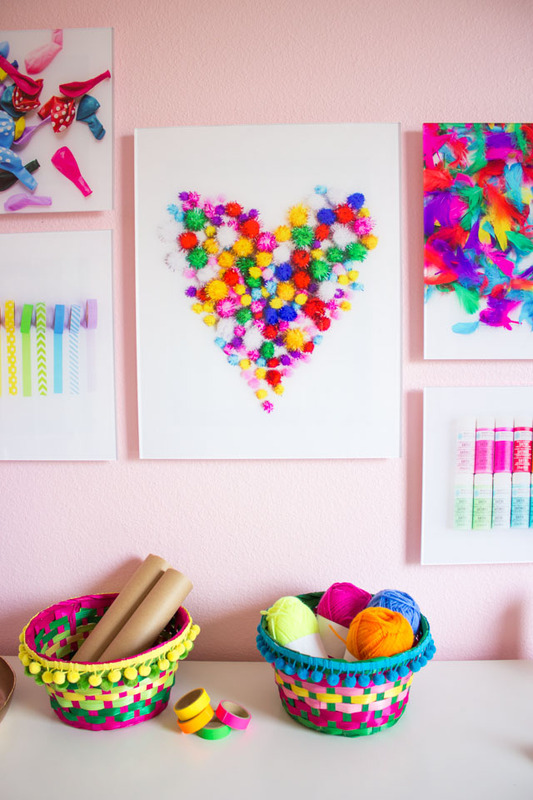 I used Mixbook’s beautiful photo printing to transform some of my all-time favorite craft supplies into wall art that makes me smile. 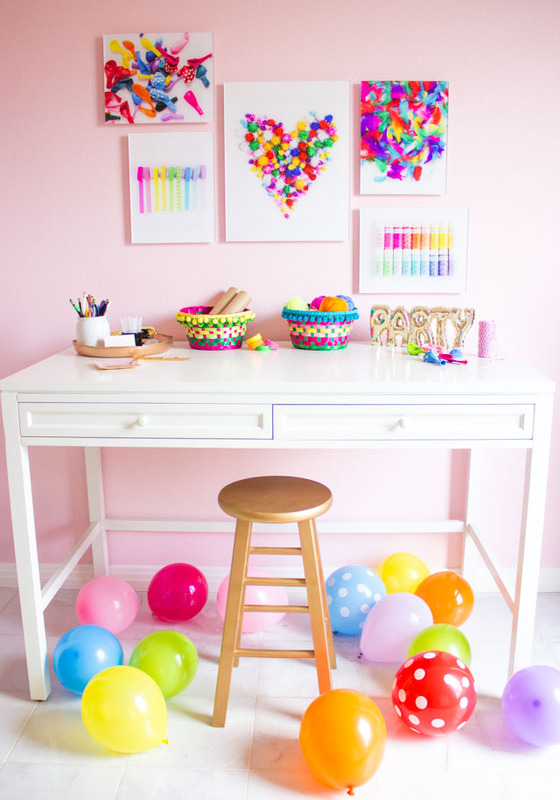 Give me some pom-poms, craft paint, and balloons and I can make just about anything. 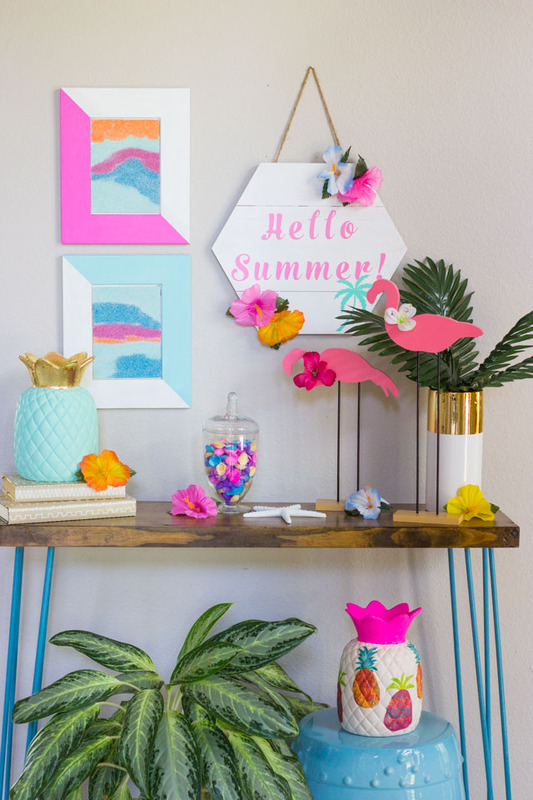 🙂 Read on to see how you can turn snapshots of your favorite craft supplies into one-of-a-kind wall art. I spend a good 5 hours in my craft room each day while my girls are at school, typically crafting on the floor (!) and photographing my projects as I go along. Sometimes I get around to playing with the craft supplies that I’m using and find they create beautiful pictures all on their own. 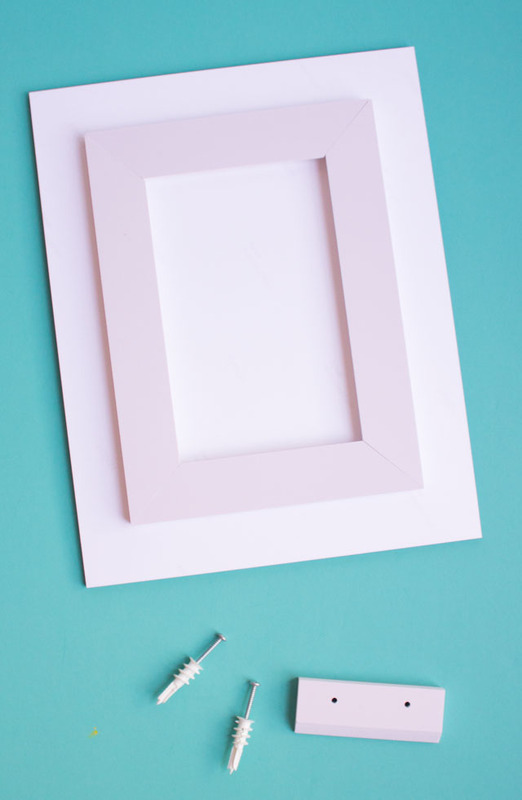 All you need is a bright white background and good natural light to create your own craft supply prints. I recommend using a set of white foam boards that you can find at the craft store. 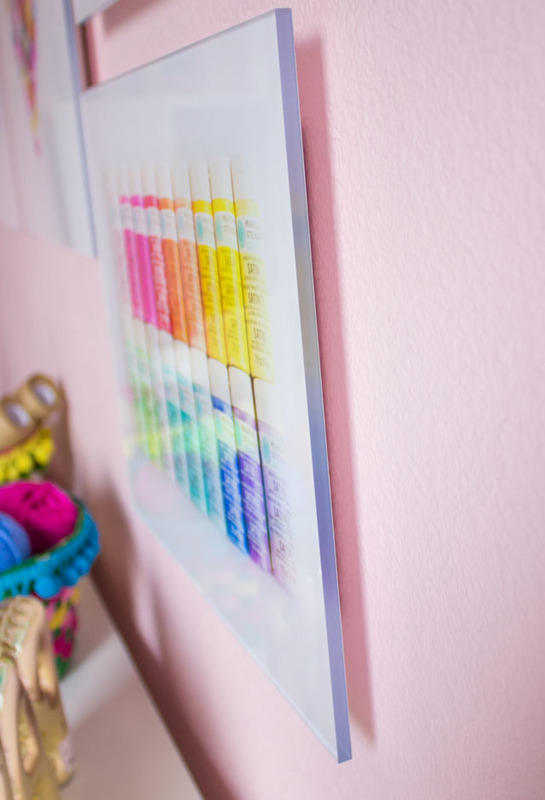 Lay one by a north or south facing window and put your craft supplies on top of it. Prop another foam core board up facing the window to reflect more light down on your supplies. I didn’t spend too much time styling the supplies perfectly. 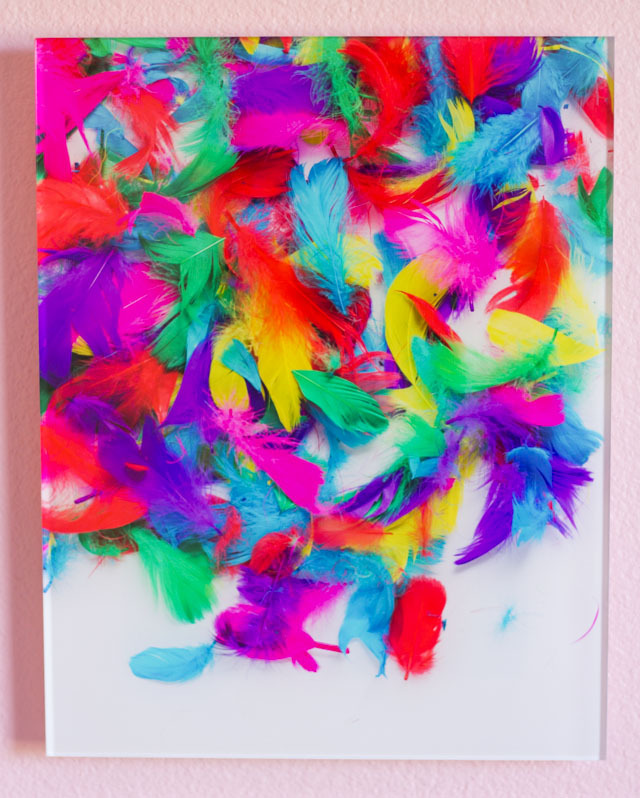 For several of them I just tossed them out on the white board and photographed them as is, like these colorful feathers! Using a photo editing tool (PicMonkey is a good free choice) can further help increase the exposure and saturation of the shot. 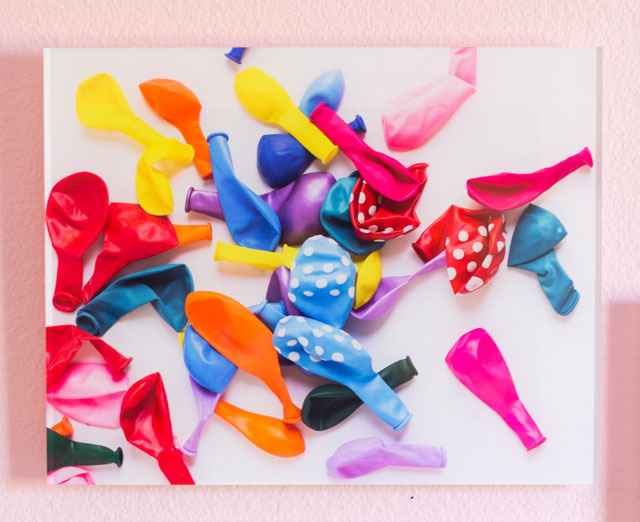 I was amazed with how vivid the colors turned out in Mixbook’s photo printing! The clarity of the printing on acrylic is stunning. 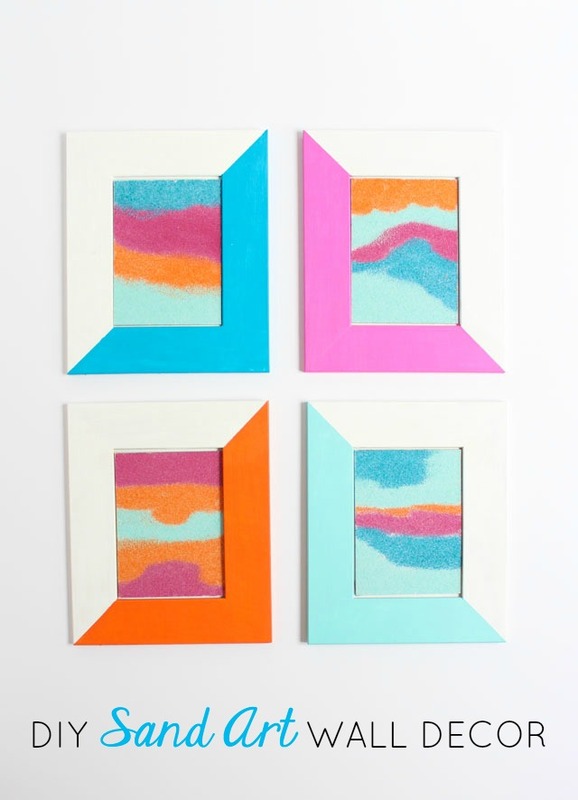 The acrylics have a glass-like finish and appear to float on the wall. No frame needed! Their thickness and sheen makes them look very high-end and unlike any canvas or framed wall art I’ve ever had before. Here’s the backside of each acrylic print. It comes with its own pre-installed mounting hardware. 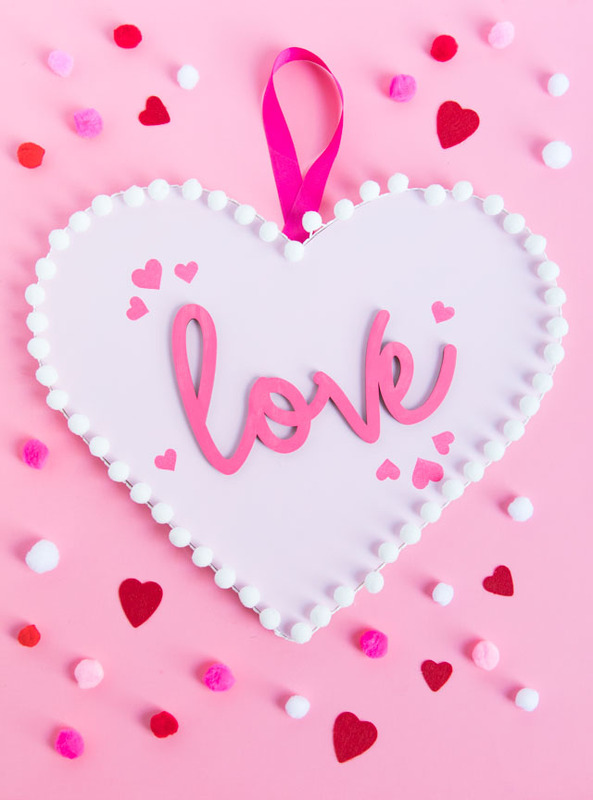 This pom-pom heart is my favorite (my love for pom-poms runs deep! 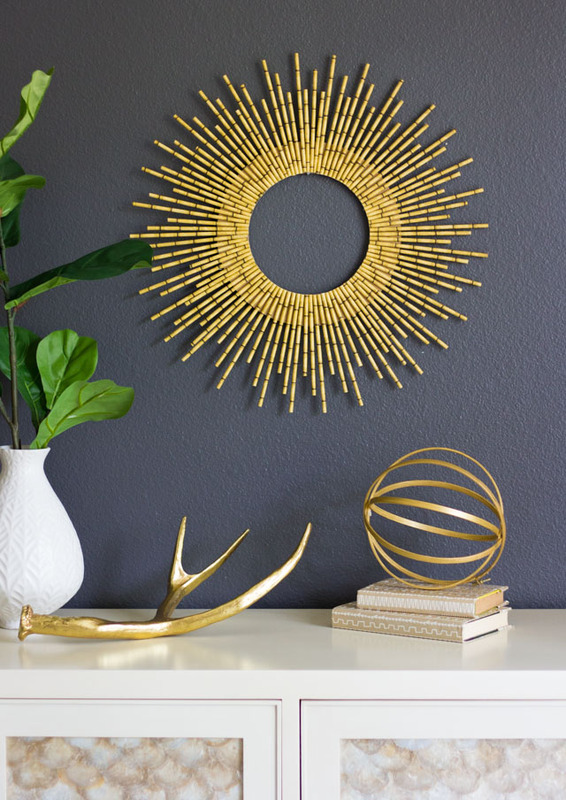 ), and I would love to give you the free printable so you can use it to create your own wall art. All current and new subscribers to Design Improvised’s weekly email newsletter will receive the free downloadable print! 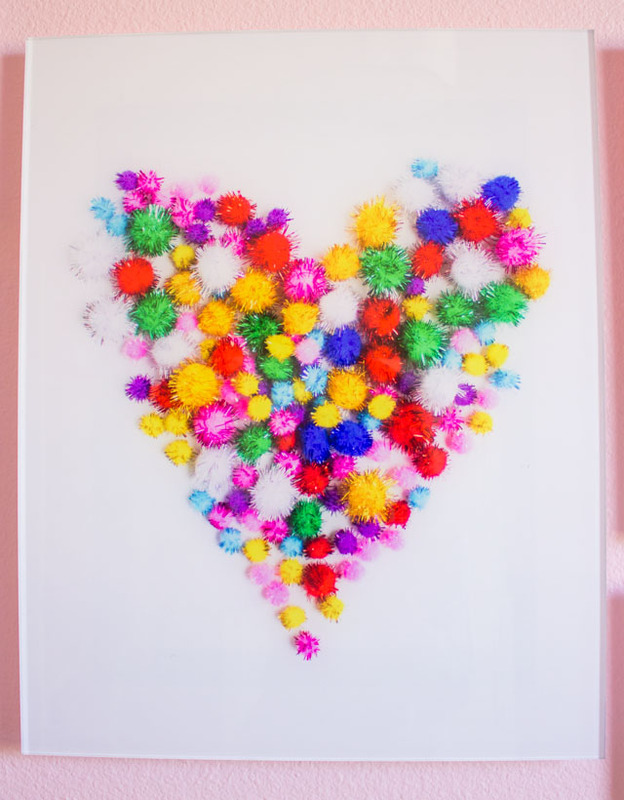 Subscribe to Design Improvised’s email newsletter to get this free pom-pom heart printable! Yes, sign me up for the weekly newsletter! Thank you to Mixbook for sponsoring this post.